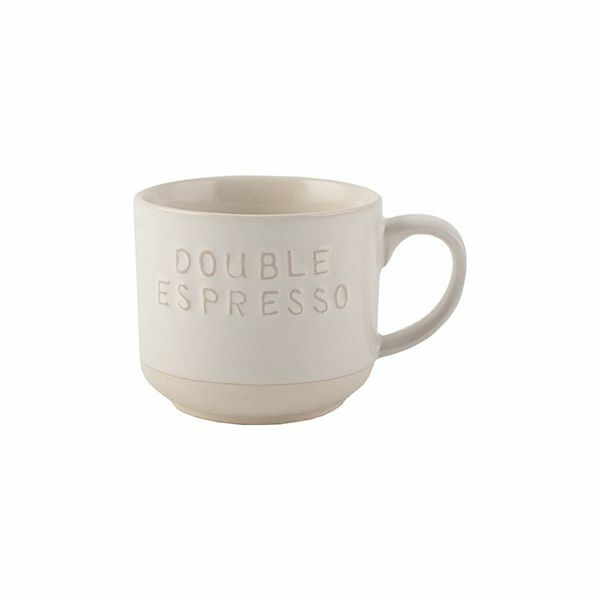 This stoneware cup has the words 'Double Espresso' embossed on the surface with a smooth and silky finish, perfect for your morning coffee. Ideal as a single gift or given as a set. Part of an original La Cafetiere range collection that is perfect for an authentic look in your home.